When it comes to the condition of the roof, one should be proactive and listen to the warning signs that herald the end of a roof’s life. Replacing or repairing roof may the biggest ordeal one should undergo but living under the right roof is the necessary part of owning and maintaining a healthy home. So, hire a professional roofing company in San Antonio to set the things right for you. Missing or loose shingles are often the result of storm damage, or maybe it is working prime in the past. When the shingles of your roof become loose or fall off, then keep in mind, it is not going to protect your home anymore. Even if your shingles are curling, cracking, dry, or blistering, then it is the sign that they have entered the end of their life. Your roof is weak and deteriorating. It is supporting too much weight. If you are not paying attention to this problem, then your roof would collapse. 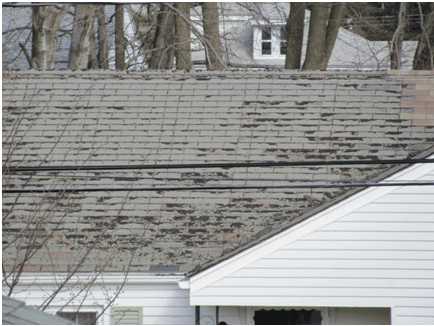 When granules begin to fall off from shingles, darker areas start appearing on a roof. This indicates that your shingles have aged and needs immediate replacement. In some cases, the dark patches on the roof are caused due to mold infestation which should be removed immediately. Water damage inside your home or attic. Exposed or loose nail heads and more. If your roof is showing any of these signs, don’t take it for granted. Contact your San Antonio roofing company today to fix the issues in no time.